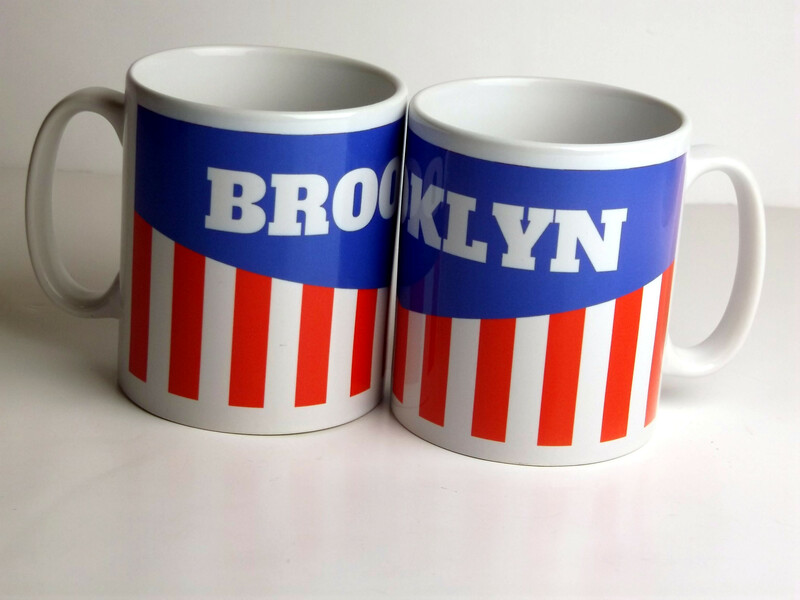 We’ve just received a batch of two brand new mugs that we’ve designed. 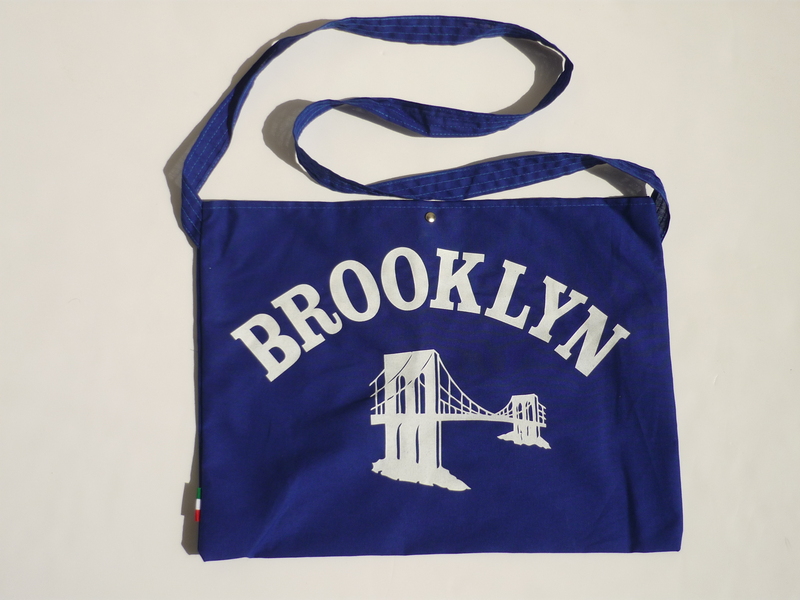 They are based on two classic teams – Brooklyn and St Raphaël. 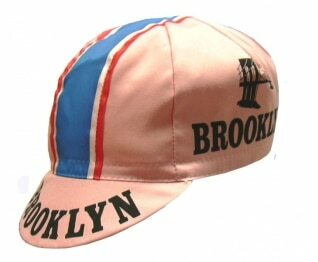 The name Brooklyn was made famous by Roger de Vlaeminck, who won the Paris Roubaix classic four times in the 1970’s. St Raphaël was the team of Brian Robinson, Tom Simpson and Jacques Anquetil. Five times Tour de France and Two times Giro winner. Anquetil is still regarded as one of the coolest men in cycling. This Italian made cotton musette is ideal for carrying your stuff in. It is 100% cotton and has the approximate dimensions of 380 x 280 mm (15″ x 11″) and has a press-stud fastener to keep it shut. Cycling sponsors tend to come and go. Many stick around for a year or two, fulfil their commitments and then disappear into the rear view mirror of cycling history. Others like Lampre and Quickstep have seemed to have been around for ages. But what products are these companies actually trying to promote ? Some are household names, but others are a little more obscure especially to cycling fans outside the sponsor’s home market. The super team of the early seventies made famous by probably the greatest cyclist ever, Eddy Merckx. 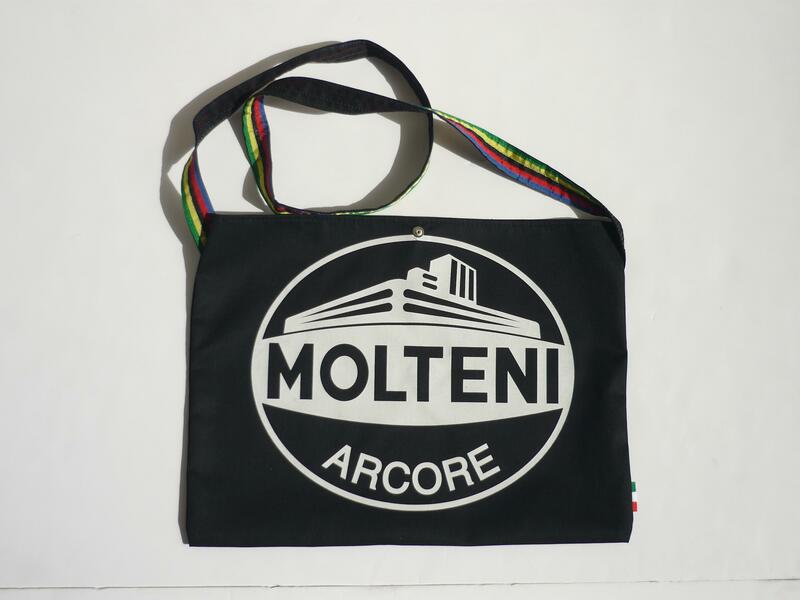 Sometimes confused with the kitchen company of the same name, Molteni were a sausage maker from Arcore, just outside of Monza. The team ran from 1958 to 1976 with a total of 663 wins. Not sure how many extra sausages were sold though. 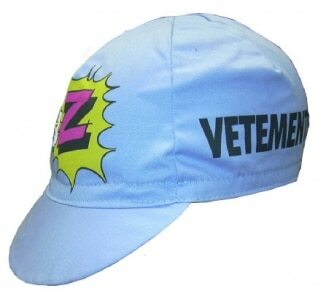 The Z in Team Z stands for Zeta Vetements – a French children’s clothing store. The team’s origins can be found in the Peugeot cycling team and were known as Vétements Z-Peugeot (1987), Z-Peugeot (1988-89), Z-Tomasso (1990), Z (1991–92) the team went onto become Gan (1992-1998) and Credit Agricole (1998-2008). Notable riders in the Z years when the kit had the pop art style exploding graphics were Greg Lemond and Robert Millar two of the coolest riders in the peloton. 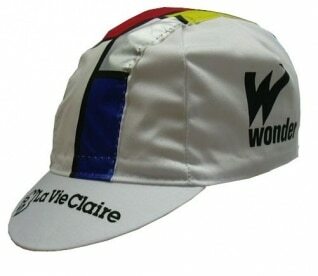 Back in the nineties many of us rode in this kit emulating our heroes. Little did we know that they were acting as a billboard for baby grows. 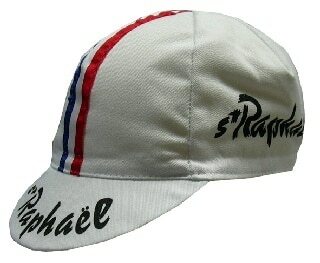 in 1954 St Raphael became one of the first extra-sportif(company outside of the cycling industry) sponsors of professional racing. The French drinks company manufactures an aperitif that contains quinine and cocoa amongst other things. In the 1950’s St Raphael and its sister company Rapha sponsored riders including Tom Simpson, Jaques Anquetil, Raphaël Géminiani and Jean Stablinski. This Italian supermarket chain that specialises in white goods were the title sponsors for teams from 1992-1995 and 1997 to 2003. It’s second stint as being a title sponsor came about when the Carrera team folded and their manager Davide Boifava wanted to build a team around its star rider Marco Pantani. 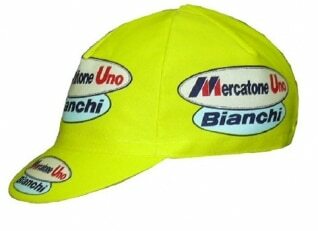 Mercatone Uno allegedly withdrew its sponsorship in 2003 on Pantani’s retirement with many of the team moving to Barlowworld. 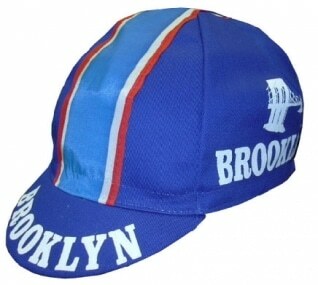 Often confused with the New York borough due to Spike Lee wearing a cycling cap in the 1986 film ‘She’s Gotta Have It’ and early Nike adverts, Brooklyn were an Italian chewing gum manufacturer that named its product after the famous bridge. The Milanese company sponsored a cycling team in the 1970’s and its most famous riders were brothers Erik and Roger de Vlaeminck who were the greats of cyclocross and the Paris Roubaix. 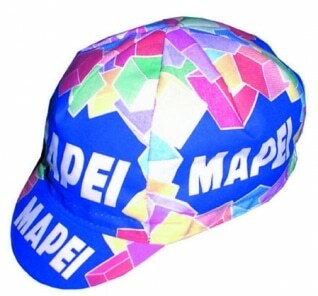 Italian based Mapei sponsor cycling due to a love of the sport and their brightly coloured logo’s are instantly recognisable. Despite not having sponsored a team for over a decade the company still is actively involved in the promotion of its brand through cycling. Mapei manufactures tile adhesive and grout. Whether there are a lot of tilers that like cycling is a different subject all together. 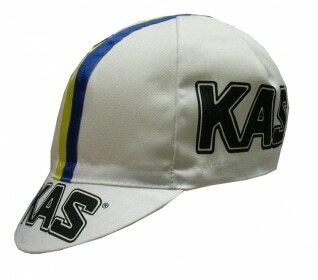 The bright yellow Kas jerseys are synonymous with 80’s Irish cyclist Sean Kelly. The Spanish brand manufactures a fruit based soft drink and is now owned by Pepsi. The brand may be unfamiliar in many countries it is available in cycling mad Spain and France. 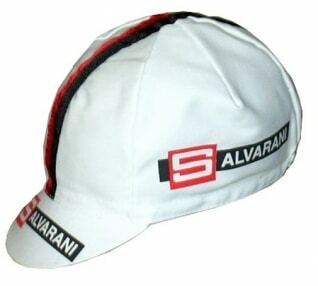 Sponsors of a cycling team from 1963 to 1972, Salvarani manufacture kitchen components. The team’s most famous rider was Felice Gimondi who won the world championship in 1972. After Salvarani withdrew their sponsorship the team became Bianchi-Campagnolo – two of the biggest names in Italian cycling. Originally conceived as a method for getting food to riders whilst they were racing, cotton musettes are a simple but effective way of carrying small items whilst you are on your bike. We’ve got about half a dozen musettes scattered about Velotastic HQ, they are great for when you nip up to town and want to take or fetch something. Far more environmentally friendly than a plastic bag (and a lot cooler in our humble opinion) and they fit in the back pocket of most cycling jerseys when they are empty. We’ve got three classic designs available, all made in northern Italy by the company that makes many of our caps who also makes feed bags for a lot of the pro teams. 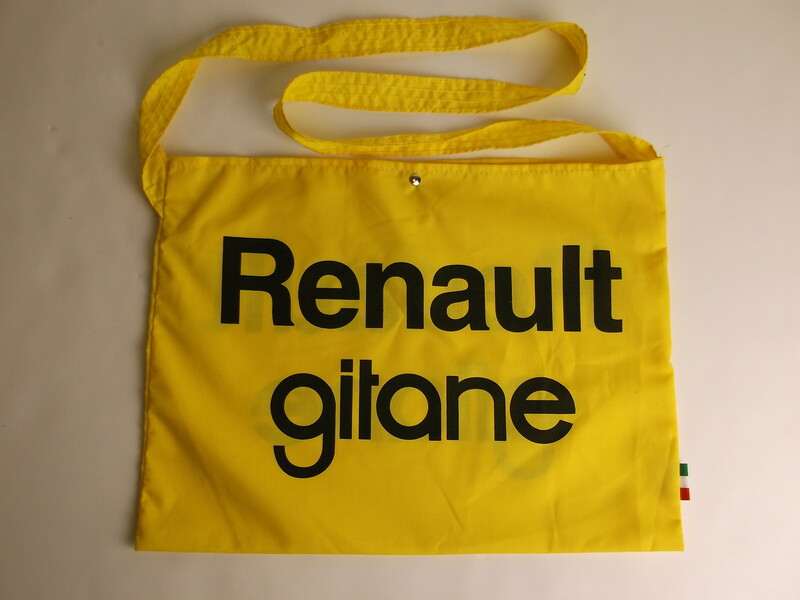 Renault Gitane – the team made famous by Laurent Fignon and Bernard Hinault. We love musettes. They are great for carrying small items such as books, race capes and bike locks and are small enough to stuff in your back pocket when they are empty. Traditionally handed out at feed stations during races and packed full of goodies such as bananas, rice cakes and sandwiches they are then discarded by race cyclists when they are empty. 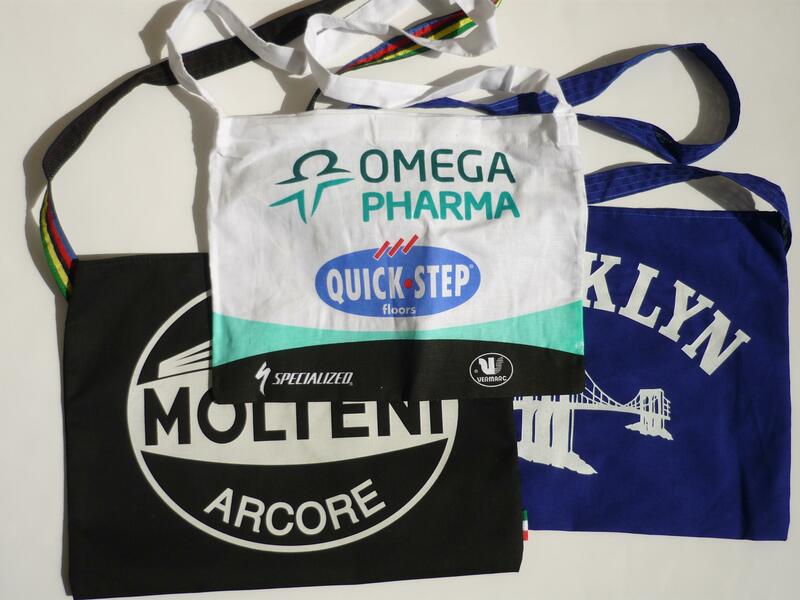 We’re stocking three different designs of musettes at the moment – a Brooklyn blue one, a black Molteni one that we’ve had made especially (the team issue one was white but we thought the black ones looked cooler) and a Omega Pharma Quickstep one as used by Mark Cavendish and Tom Boonen. As well as riding our bikes we do enjoy a good brew (and piece of cake). 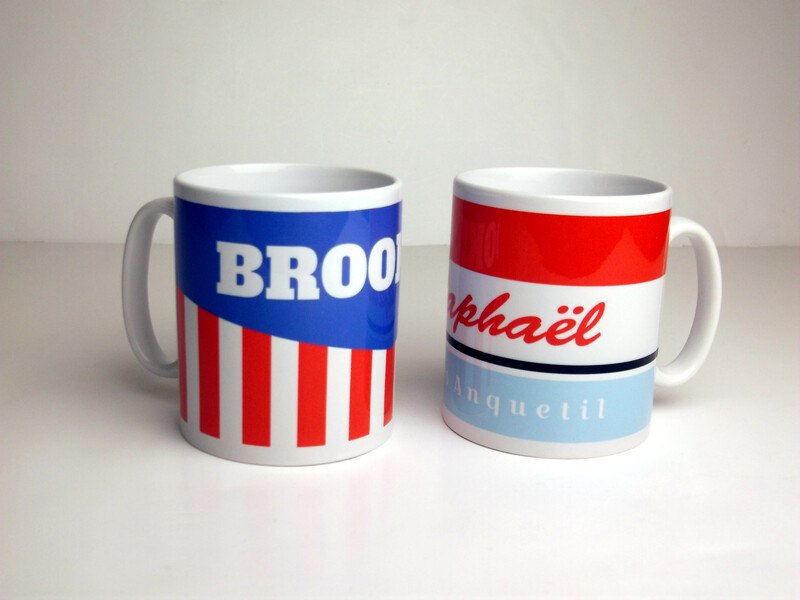 We’ve designed and had made a couple of cycling themed mugs that celebrate our all time hero’s Tom Simpson, Eddy Meckx and Fausto Coppi. The Fausto Coppi mug has Il Campionissimo written on it and is in celeste blue. 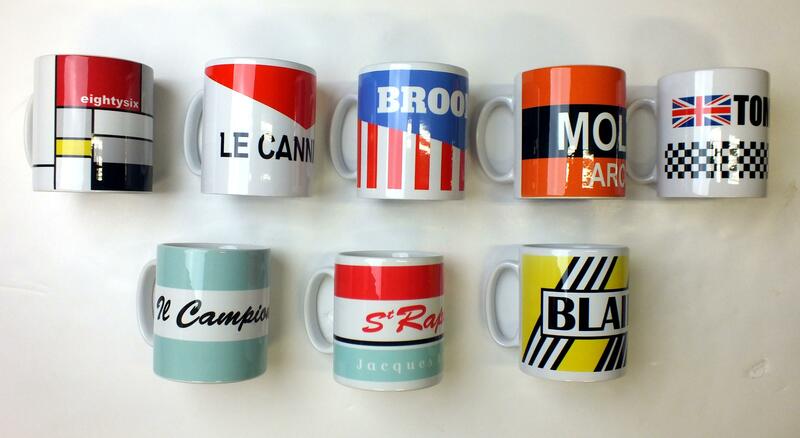 The Tom Simpson mug has the iconic chequer board design on it and a Union Jack too. 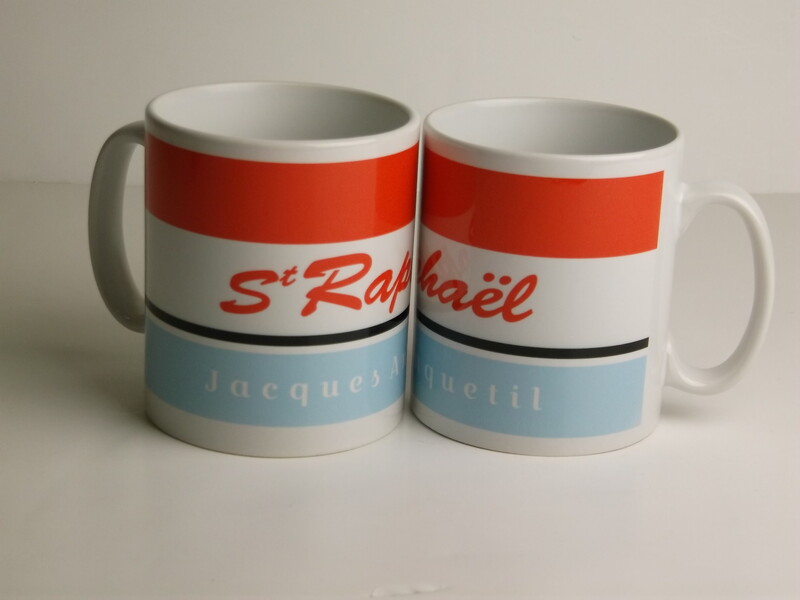 The St Raphael Mug – One of the coolest teams in cycling history, with Jacques Anquetil written around the bottom. eightysix – after one of the most famous cycling races ever. They make an ideal gift or a good way to make your mug stand out from the crowd. Both mugs have a 10 oz capacity and are ceramic. 1 single mug only supplied. Tea, coffee and digestive biscuits not included. 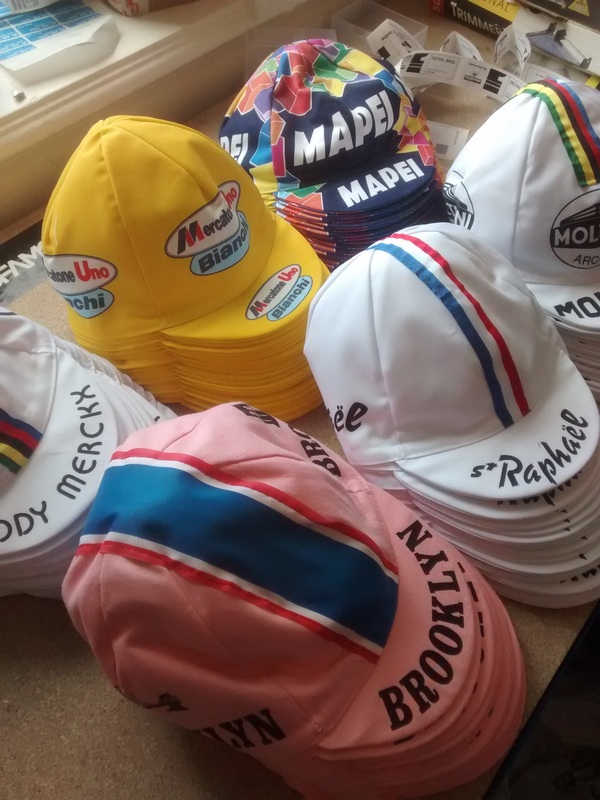 We’ve just had a fresh batch of cycling caps in from our supplier in Italy after their summer break. Yet more caps in stock. 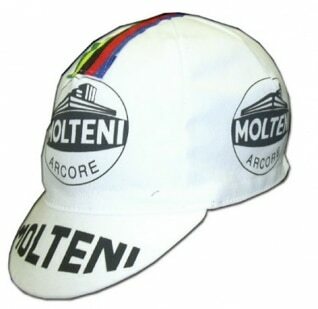 We’ve just received, hot from Italy, a consignment of cotton retro cycling caps. 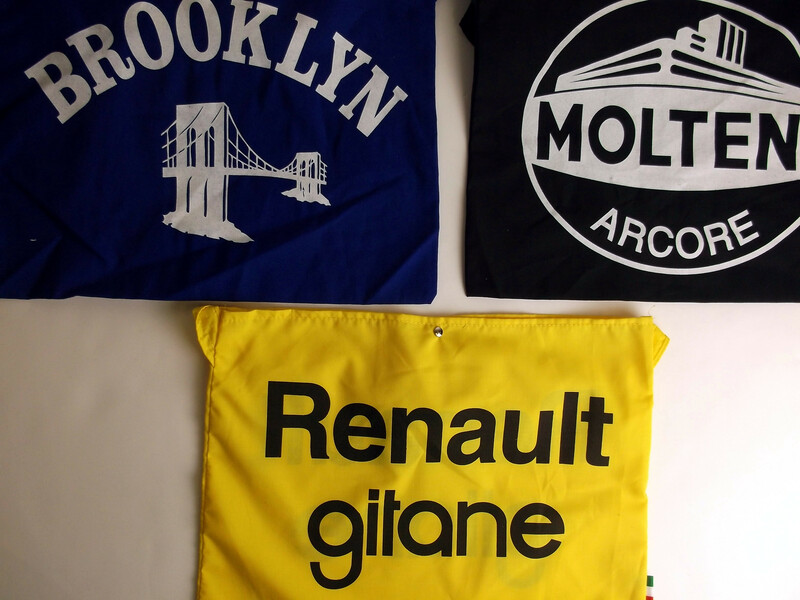 There are four designs to choose from – Molteni, Clement, 7 Eleven, and Brooklyn. All classic teams from the 1970’s and 80’s. We’ve also have had a shipment of another 150+ jerseys that we are currently working our way through and will be putting up for sale in the next few days.